Today all over the United States people have been standing in line for hours in hopes of getting that one great deal on their special someone’s Christmas gift! Unless of course you’re me then you prefer to stay home in your pajamas, eating leftovers and sleeping off the tryptophan hangover you occurred the day before. And because of that I love Cyber Monday! And to make it even easier I’ve put together a list of some more of my favorite books I’ve reviewed in the last few months. Hopefully you’ll be able to find just the right book for that avid reader on your list! 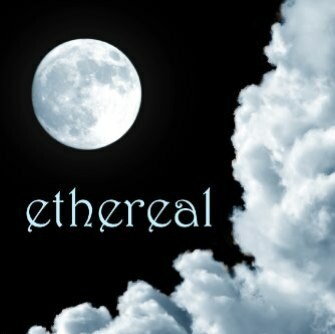 As much as I love to read, sometimes I just don’t have time to read a full-length novel. That is where a well-written short story comes in handy. Scott Burgess’ The Plague: Dead Solstice fits the bill very nicely! 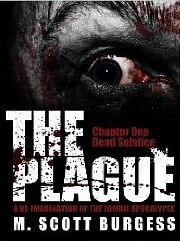 The Plague has a good, solid story line and is filled with inspired writing, which made for a fun read. I enjoyed Burgess’ use of dry humor and intriguing character development. It was not as much a predicable read as many zombie books could be and I literally laughed out loud at Burgess’ humor and attention to the characters’ details. He definitely kept my attention throughout the story. And for those readers who appreciate a good romance I highly recommend the next two books. Do you have an evil genius on your Christmas list? Well How to Succeed in Evil would be the perfect gift for him or her! 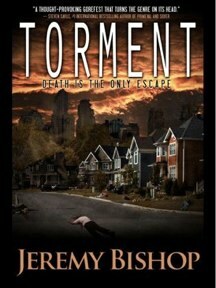 I absolutely loved Torment: A Novel of Dark Terror by Jeremy Bishop! Torment was a fast read, a little heavy, but still very enjoyable! I found myself wrapped up in the story from the very first chapter. I was convinced that this was going to be a story about an alien invasion, but was pleasantly surprised to watch as it turned into a tale of human survival in a post apocalyptic world. Torment is a social science fiction novel; meaning it is concerned less with technology and space opera type themes and deals more with sociological speculation about human society and beliefs. The religious undercurrent helps flesh out the characters and allows you to see their differing opinions of god, and what life really means. Hopefully this list will keep you in bed at 4 am instead of out in the cold with the rest of the crazies and make you the best Santa in the whole universe!